Just a shot out to those that are wanting to try the legit anime service, CrunchyRoll without spending a penny for 1 whole year! 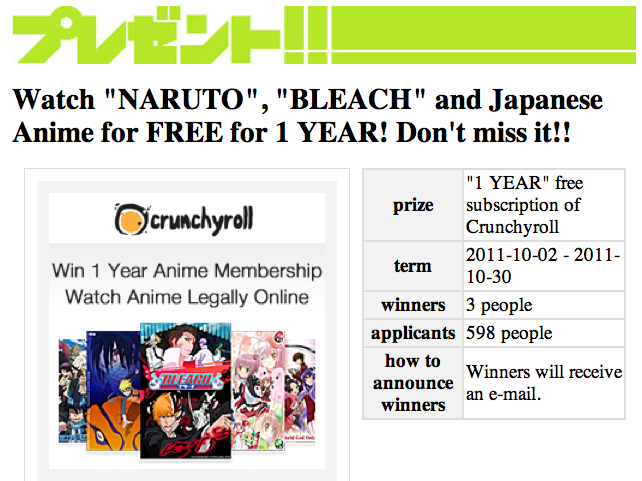 Tokyo Otaku Mode is giving 3 lucky peeps access to CR for 1 year. Click for more details :D.